cheritan is fast becoming one of Hyderabad’s sought after Makeup Artists. Understanding the importance of Beautiful Makeup, cheritan will always provide a premium, professional Service. Taking pride in being detail orientated, dedicated and distinctively creative. cheritan has gained his unique skills from the love and passion for creativity and beauty from a very early age. Embarking a career in the Beauty and Makeup Industry, cheritan has worked alongside leading Modelling Agencies, Designers, Stylists, Photographers and well known Cosmetic Companies in India including MAC cosmetics you are guaranteed the latest techniques and the highest quality products used for sustainability, longevity and the Flawless results achievable. 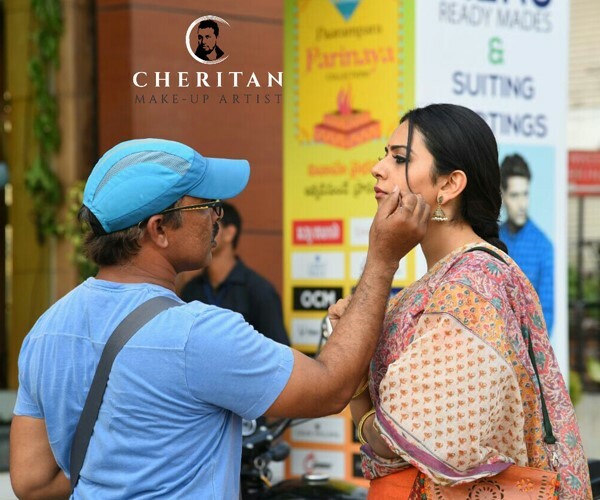 With an attention to detail, distinctive creativity, experience in the industry and the knowledge and passion for Beauty and Cosmetics, whether it be your Wedding, Photo shoot, Formal or next Special Occasion, cheritan will enhance and draw out the best version of your natural complexion and features. Whether it’s a special occasion or to refresh for the season, let a cheritan's artist help you find that perfect look to allow your unique personality and individual flair to shine. You are beautiful and we accentuate your beauty.Beauty begins the moment you decide to be yourself.